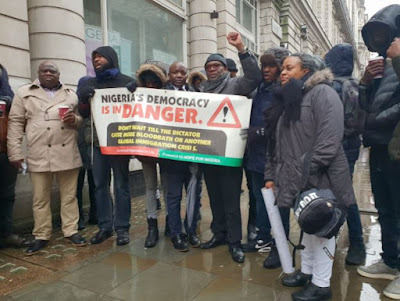 A group of Nigerians in the United Kingdom under the aegis of the Concerned Nigerians Living in the UK (CNLUK) have strongly condemned the suspension of the number five citizen of Nigeria, CJN Walter Onnoghen amid other political issues in the public domain. The group described Onnoghen's suspension as an attempt by the executive arm of government under the administration of President Muhammadu Buhari to undermine the judiciary and the override the essence of the rule of law in Nigeria. Speaking through its convener - Dr Wilson Diriwari during a protest under the bad weather at 1:00pm (London time) at Nigerian High Commission in London, the group accuses Buhari of incumbent government of President Muhammadu Buhari is unleashing fear and terror on opponents from other parties. The group cautioned the present government against taking the path of violence, anarchy and national unrest. • The unconstitutional suspension and arraignment of the Chief Justice of Nigeria (CJN) before the Code of Conduct Tribunal on corruption charges in defiance of the court order prohibiting the government from such action. As this atrocity continues to play out, it is becoming very clear that the Buhari government is not prepared to shift position. The implications are terrifying and leaves us worrying about our relatives back home who might get caught up in whatever ensues next. • An incessant refusal to sign the electoral bill into law as a surety for all Nigerians in the upcoming election. • Harassment and arrest of vocal members of the Senate who oppose the government’s view on one policy or the other. • Proscription of media houses, such as the Daily Trust Newspaper that was recently clamped down on by heavily armed military personnel. • Disruption of opposition party’s campaigns by hired thugs, which has already resulted in the deaths of journalists and members of the public. The list above represents only a few examples of the pain being meted out to the citizens of Nigeria. 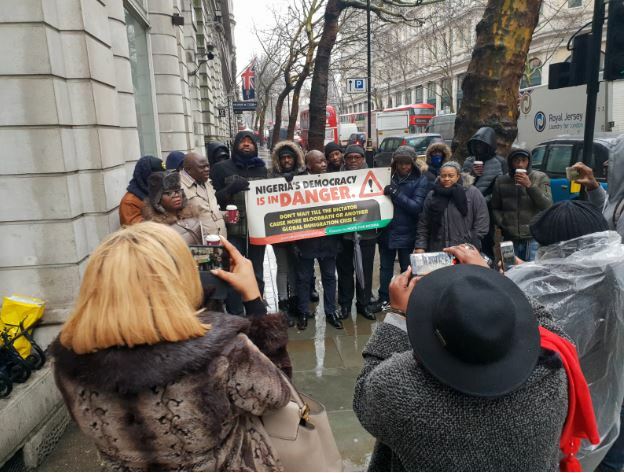 The actions of the current government are filtering down to us in Diaspora." 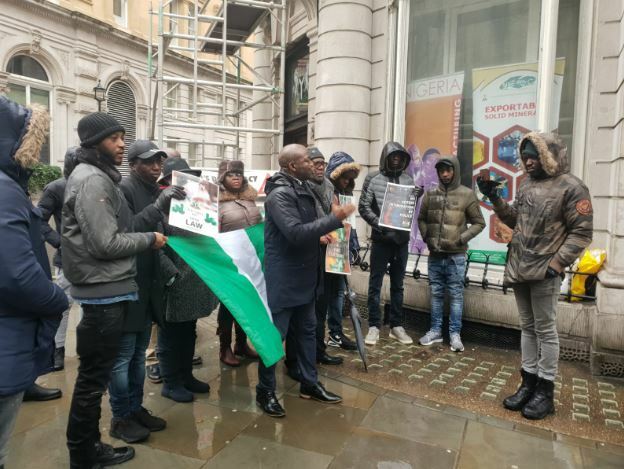 The CNLUK also complained about the harsh economic realities in Nigeria which according to them has increased the spate of 'economic dependency' on them by their relatives back in Nigeria. 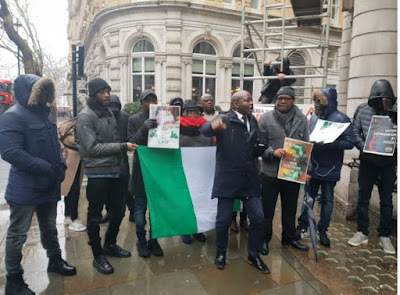 It also decried the Federal Government's defiant stand against the views of the international community on the suspension on Onnoghen which it believes is "capable of breaking the nation, derailing the fragile democracy, put life and property at risk and potentially degenerating into a pronounced humanitarian crisis".